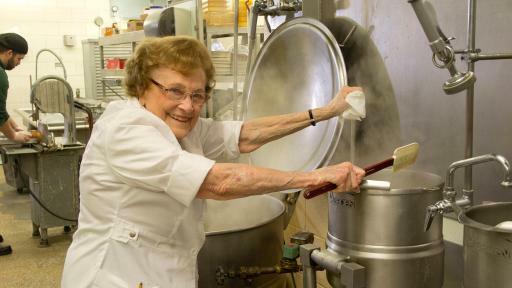 With no retirement plans in sight, Dorothy Zehnder, co-founder of the family-owned Bavarian Inn Restaurant will celebrate her 95th birthday on Thursday, December 1 doing what she enjoys the most – working in the kitchen of one of the nation’s largest and most successful independent restaurants. The petite and lively matriarch doesn’t look much like a modern CEO, but don’t be fooled. 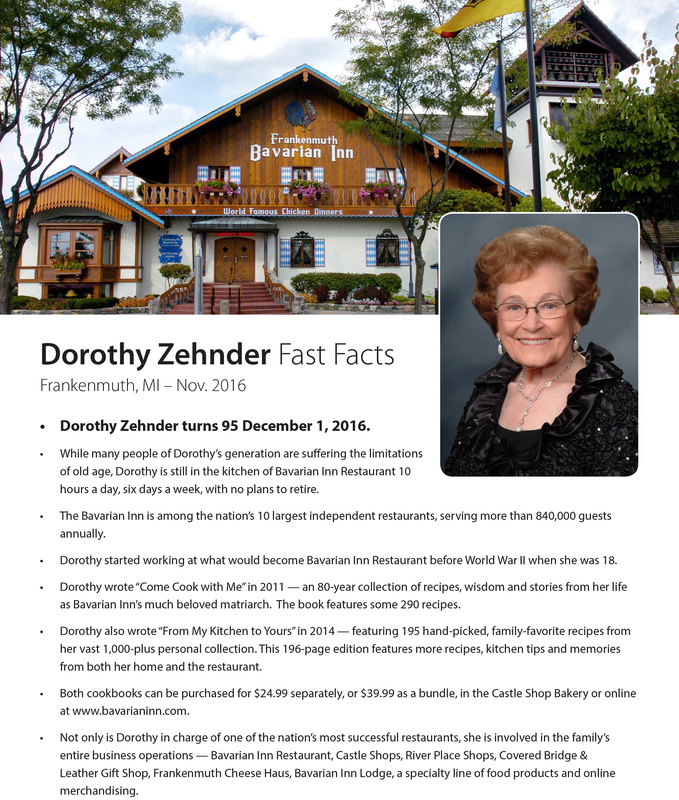 Over the years, Dorothy has been involved with all the family’s business operations, all located in Frankenmuth – Michigan’s Little Bavaria. 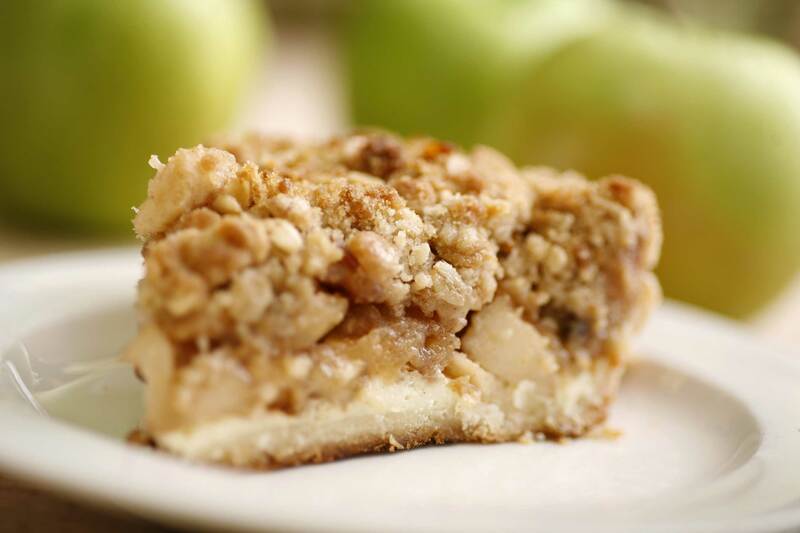 In addition to the restaurant, they include Bavarian Inn Lodge, Castle Shops, River Place Shops, Covered Bridge & Leather Gift Shop, Frankenmuth Cheese Haus, a specialty line of food products, and online store. 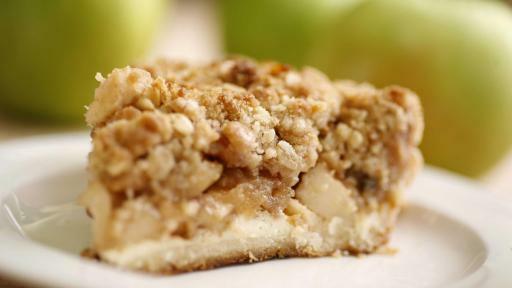 She’s also the author of two cookbooks, “Come Cook with Me,” published in 2011, and the follow-up “From My Kitchen to Yours,” published in 2014. 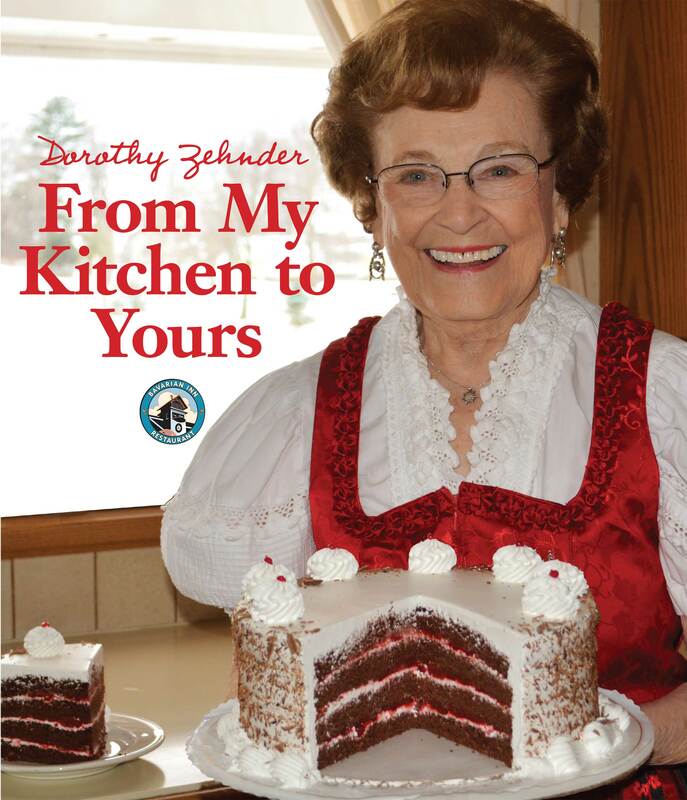 Both cookbooks are available for purchase at the online store at www.bavarianinn.com and are filled with stories about Dorothy, cooking, her family and the German-themed restaurant they created. 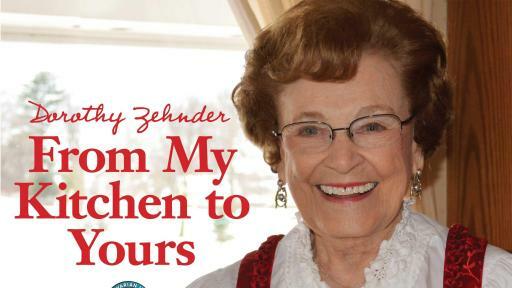 Dorothy Zehnder has no plans to retire. Dorothy, who was born in nearby Reese, Michigan, founded the restaurant with her late husband, William “Tiny” Zehnder, after Tiny’s family purchased the former Fischer’s Hotel in 1950. At that time, the Zehnders and their 12 employees served about 50 people a day. Today, the Bavarian Inn Restaurant has 450 employees, serves thousands of people a day in 12 dining rooms and annually ranks among the country’s largest family-run restaurants. Dorothy’s children and their spouses, along with her grandchildren – a total of 9 family members – work alongside her every day to continue the success story of the Bavarian Inn. Despite Michigan’s economic struggles over the years, the Bavarian Inn has held its own. While the restaurant and travel industries continue to experience challenges, the Bavarian Inn is remaining profitable. 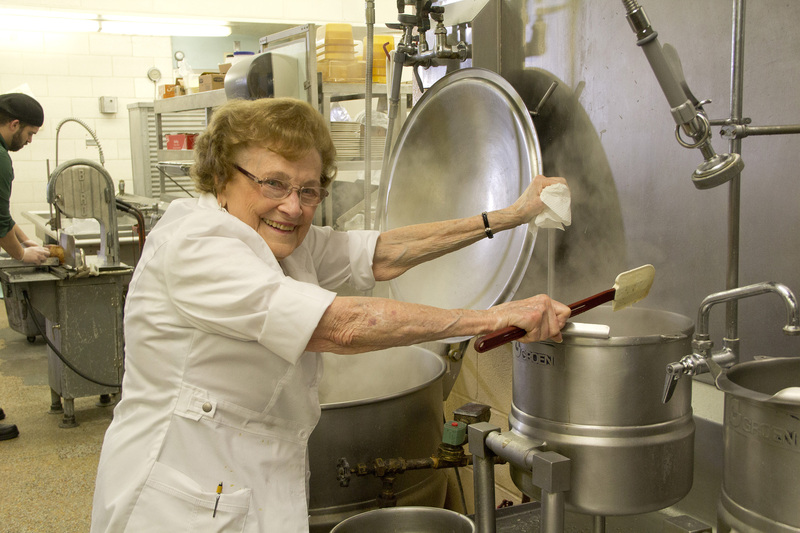 Today, Dorothy’s main mission is to oversee quality control in the kitchen – making sure the mashed potatoes are whipped to perfection, and that the entrees, like the Bavarian Inn’s famous Frankenmuth® Chicken, meet her high standards before heading to the dining room. 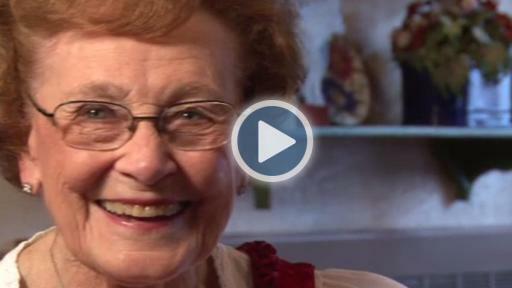 How, Dorothy is often asked, does she manage to maintain such a healthy and active lifestyle in her mid-90’s? “I tell them that I eat a lot of chicken,” she replies, laughing. Nestled along the Cass River in one of Michigan’s top tourist destinations – Frankenmuth – is one of the state’s largest Indoor Water Park Hotels! The Lodge has 360 European-themed guest rooms, including whirlpool and family suites, an adult-only pool and whirlpool, two gift shops, two lounges and two restaurants — all under one roof. The expansive 35,000 square feet Family Fun Center houses two dramatic waterslides, three pools and two whirlpools, over 150 video and redemption games, a two-story children’s play village and Willy’s Kingdom indoor mini-golf course. Guests can also enjoy live, year-round, nightly entertainment and test their own musical skills during weekend family karaoke shows. In 30 years of business, the Bavarian Inn Lodge has been an important destination for travelers, evidenced by the 1.25 million room-nights that have been booked there since its opening, along with its top rating on TripAdvisor®. 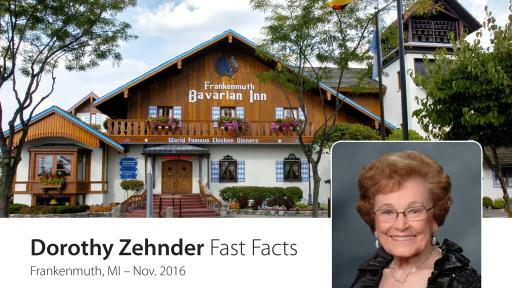 Learn more at www.bavarianinn.com.